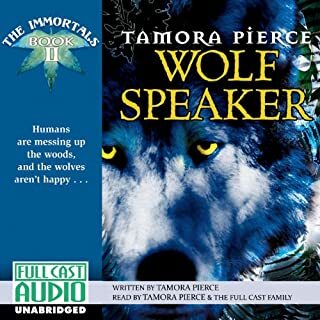 good book, good narration, bad recording. Kel has finally achieved her lifelong dream of being a knight. But it's not turning out as she imagined at all. She is torn between a duty she has sworn to uphold and a quest that she feels could turn the tide of war. 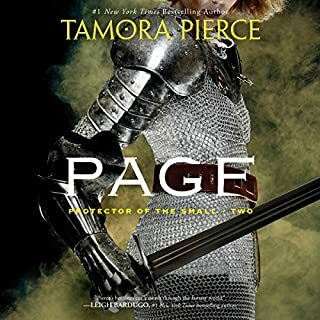 Unrelentingly realistic in its depiction of the horrors of war, Pierce provides exquisite details of the weaponry, topography, and culture of her world, and her control of a voluminous cast of characters is masterful. In the medieval and fantastic realm of Tortall, Keladry of Mindelan (known as Kel) is the first girl to take advantage of the decree that permits females to train for knighthood. Up against the traditional hazing of pages and a grueling schedule, Kel faces only one real roadblock: Lord Wyldon, the training master of pages and squires. He is absolutely against girls becoming knights. But Kel is not a girl to underestimate. Girl-centric coming of age story. Alanna of Trebond is no ordinary girl: her dream is to become a knight. So she disguises herself as a boy and begins training at the palace of King Roald. 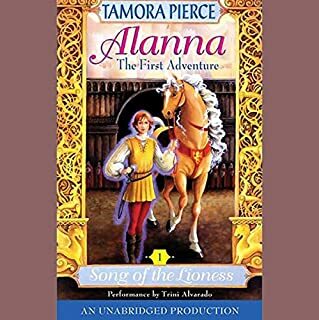 Alanna quickly finds out that the road to knighthood is not an easy one, but her skills and stubborness help her become friends with Prince Jonathan and his followers. At the same time, Alanna makes an enemy of the prince's uncle, the overly charming Duke Roger. When Keladry of Mindelan is chosen by the legendary Lord Raoul to be his squire, the conservatives of the realm hardly think she's up to the job. Kel quickly proves her ability as a jouster, warrior, and guardian of a fiery griffin, ultimately earning respect and admiration among the men, as well as the affection of a fellow squire. As the only female page in history to last beyond the first year of formal training, 11-year-old Keladry has a battle to fight. Kel's detractors do everything in their power to thwart her progress, from tormenting her friends to sabotaging the Midwinter Festivities to kidnapping her maid and dog on the day of final exams. The tide begins to turn during the summer, when she leads a team of pages in defensive maneuvers against renegade bandits - on the same day that she gets her first period! Kate has come a long way from her origins as a loner taking care of paranormal problems in post-Shift Atlanta. She's made friends and enemies. She's found love and started a family with Curran Lennart, the former Beast Lord. But her magic is too strong for the power players of the world to let her be. 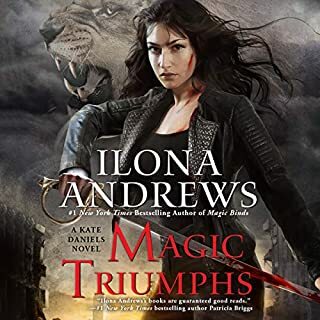 Kate and her father, Roland, currently have an uneasy truce, but when he starts testing her defenses again, she knows that sooner or later, a confrontation is inevitable. The Witch Oracle has begun seeing visions of blood, fire, and human bones. 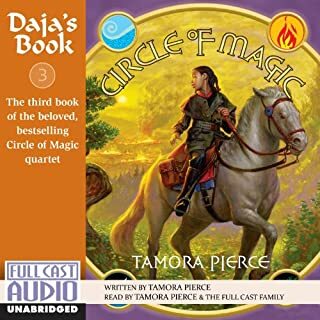 The new, highly anticipated Tortall Legend from Tamora Pierce, the number one New York Times best-selling author who is legend herself, is a must-listen for any fantasy lover! Arram Draper is on the path to becoming one of the realm's most powerful mages. The youngest student in his class at the Imperial University of Carthak, he has a gift with unlimited potential for greatness - and for attracting danger. 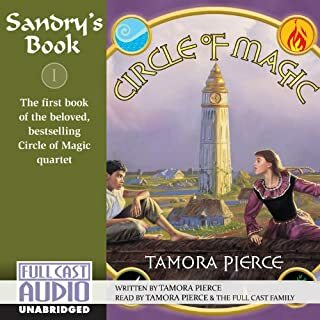 At his side are his two best friends: Varice, a clever girl with an often-overlooked talent, and Ozorne, the "leftover prince" with secret ambitions. Together, these three friends forge a bond that will one day shape kingdoms. And as Ozorne gets closer to the throne and Varice gets closer to Arram's heart, Arram realizes that one day - soon - he will have to decide where his loyalties truly lie. In the Numair Chronicles, listeners will be rewarded with the never-before-told story of how Numair Salmalín came to Tortall. 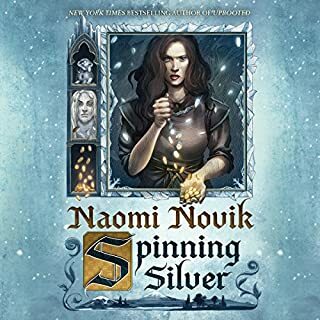 Newcomers will discover an unforgettable fantasy adventure where a kingdom's future rests on the shoulders of a talented young man with a knack for making vicious enemies. I tried reading the physical copy, which had more exclamation points to last me a life time. then I thought it might be better on audio... it wasn't. 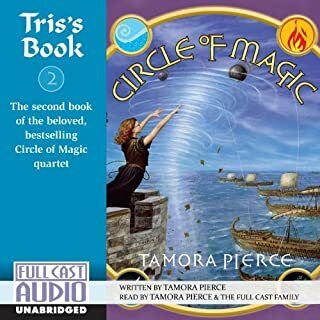 Not only has Pierce's writing matured, but she's back with the same wonderful magical world as ever. I enjoyed Ari Meyers' narration as well, she was able to find a voice for each character, and there were so many of them! Not her best, but worth a read. Set a good foundation for upcoming books. Poor narration/editing; mispronounced words including the author's name. If you’re looking for an entry to the Tortall universe, this would be a good book. Great as a stand alone and not overly foreshadowed by the sequels. Numair is an awesome character, if a bit OP. I love the romance, and am already itching for future books in this series, since the main plot is unresolved. I freaking loved this story! 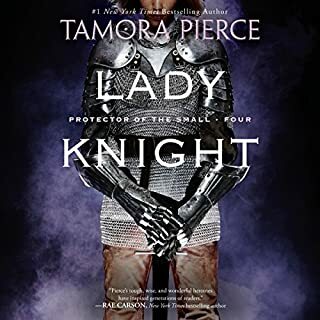 I had had some trepidation about starting this book, in part due to the fact that I love Tamora Pierce... I know that doesn't make sense, but let me try to explain. 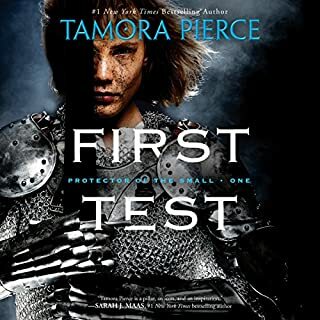 Tamora Pierce hasn't done a new book in her Tortall universe in years, and not just a couple of years, but like 7 years... the last book was Mastiff, in the Beka Cooper trilogy. And here, she's going back to a character introduced in (I believe) her first and again in her second series, In (The Song of the Lioness) he showed up briefly, and then again in The Wild Magic quartet, which she finished up in 1988. 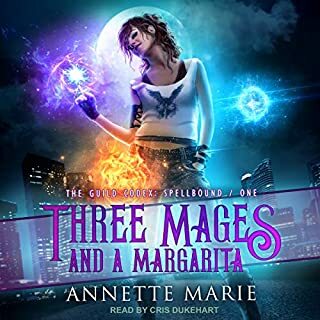 I was really afraid that after all these years she would take this wonderful and mysterious character, Mage Numair, and somehow "eff" it up for me, if it hadn't been for the assurances from my daughter (now a grown woman, who LIVED for these stories while she was growing up) I may never have read this book! 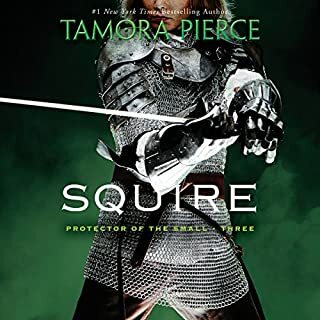 I FREAKING LOVED this story ... and Tamora Pierce finally chose to write a series from a male perspective, and I gotta say, she did it very well! I have to admit that I was also surprised by the fact that a woman was picked to narrate this story... I always thought the gender of the narrator was dictated by the protagonist. 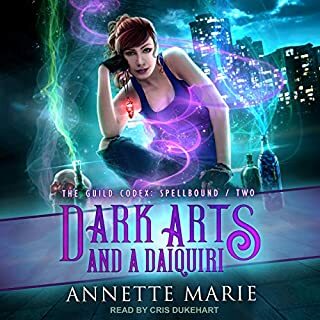 But I fell in love with Aria Meyers' narration, and realized that she was a perfect pick for the book! 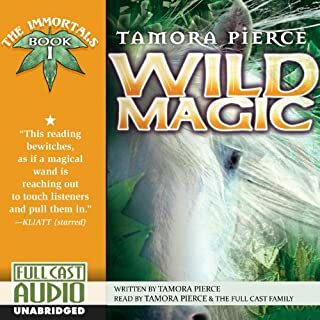 With this story she took Numair and gave him a backstory about his training, where he found new friends, and started learning how to control his significant magic powers. This story is fantastic, and I strongly suspect the books to follow are going to be simply amazing. I can hardly wait for the next book. Let's just hope that I don't have to wait too long! Fantastically written. Beautifully performed! I forgot I was only listening to one reader and not an entire cast! I can’t wait for the next book! Another AMAZING addition to the Tortall universe. Tammy has done it again. I wish I could read it again for the first time. Numair is a character I felt has deserved his own series for years and I'm so happy to finally be able to read his story! I am an avid listener of audiobooks, and Ari Meyers is hands down the best narrator I have ever listened to. Her voices for each character is amazing!! You won’t regret listening to this book! 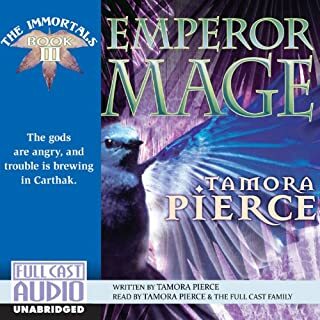 Tamora Pierce paints a vibrant picture Carthak. This book covers a lot of ground in the story of Arram Draper, student mage. 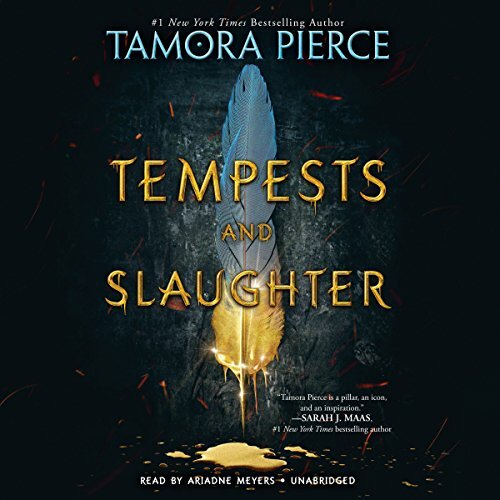 As a magic school story, Tempests and Slaughter shines, telling a story abput learning as an adventure. The book is filled with characters and it feels as though some important relationships don't develop to their potential, probably because they are intended to be set up for the second installment in the series. A good read for anyone, particularly fans of the Tortall universe. Of note is the performance by Ari Meyers, who makes the reading feel like a full cast audiobook. This is the best of all her series. The best narrator and the most exciting story-telling. This is the beginning of a tie-in with the best main creators of former stars into a big, big showdown coming in the future along with a new mage that I already love, He is a sweetheart. Jump in and enjoy with me. I am not sure about the person who read the book. In a previous series where we first meet Numair (Arram) his master Lindhall Reed wasn't a too old of a man. here the reader makes him sound like one. This book also made me feel sorry for Orzone. being a prince can't be easy but you see the darkness in him already as a child. 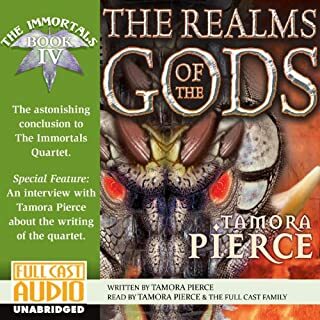 it's great to hear of Numair's past and can't wait for the rest of the series! when i heard it was coming out, I got so excited!!! !